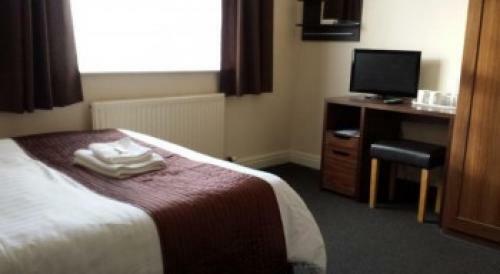 The Mount Guest House offers accommodation in Audenshaw, Manchester, providing excellent modern facilities and warm hospitality. The Mount Guest House is renowned for its professional service, clean rooms, and friendly welcome. Here you get the best of both worlds. A quiet locale that is ideal for relaxing after a long trip, yet within 15 minutes drive you can reach the bustling city of Manchester where unlimited entertainment & attractions await, Then come back for a perfect night sleep at our Guest House, If you are looking for a high quality, friendly and clean accommodation at a reasonable rate in Manchester then we are the place for you. The Mount Guest House has spacious bedrooms that include 23" LCD TV. s with built in DVD player and complimentary trays. Mount Guest House is fully central heated, double glazed and has a private car park. Whether your stay is for business or leisure, The Mount is ideally placed for a trip into Manchester, where you can visit the Mosley Street art galleries, the Trafford shopping centre or the city’s Theatre of Dreams, Manchester United’s Stadium, Velodrome, City of Manchester Stadium, M.E.N and many more places in and around Manchester. Nice room at a very reasonable price. Would definitely stay again! Bedroom fine & bed comfortable. We Stayed a night that staff we really nice and the room was standard good do with new mattress but it looked like they we doing that when we got there. Friendly manager, functional but pleasant room and a comfortable bed. A Friendly welcome, Clean room, linen & towels, Tea & Coffee facilities. These were first impressions but didn't disappoint during my stay, No it's not the Hilton & the price reflects it, but if you're on a budget & looking for a quiet location, clean room, friendly people & a good nights sleep, then you wont get a better place, not far from the motorway to reach all of Manchester, local shops & pubs not out to rip you off...would I recommend it to friends?..Absolutely...Thank you Mount Guest House for a perfect stay & Well Done to all of you. I stayed at Mount Guest House for just 4 nights. However, from my arrival up until my departure, the management and staff were very friendly and professional. The management even went the extra mile to help me when match tickets I had purchased via the internet were not delivered. As a first time visitor from South Africa, they were extremely helpful in guiding me with all my travel arrangements. They were sensitive to my needs and were generally just amazing. Large family room was clean and spacious. Thanks for a lovely stay, I highly recommend this place. just 20 mins from the city. Stayed here while on a course and I must say the staff were very nice. I was made to feel at home! Thank you so much for making my stay so enjoyable. Friendly welcome. Comfortable bed & clean & tidy bedrooms..
Nice people, nice place, will use on a regular basis. I was made to feel very welcome from the point of checking in. The room was comfortable, clean and the right temperature. It did what it says on the tin and was very good value for money. We came from Sheffield as a large group for my mum's birthday. The staff were very welcoming and helpful as we did not know the area, and even had upgraded us. Rooms were comfy and clean with great facilities. Would definitely return! We found the Mount Guest House to be comfortable and clean! The staff were very friendly and helpful and we will definitely stay here again! Very friendly staff, comfortable room. No complaints at all. It served my purpose as somewhere to stay for a few days very well indeed. We booked this as other hotels were charging the earth for our dates. What a great find! Thank you so much for a lovely stay! This is a great value for money guest house, with decent rooms and bathrooms, all clean. The owner and staff are all very pleasant and breakfast was excellent. It's only 6 miles from the centre of Manchester and so was ideal for our group who went to sing at the national Barbershop prelims on Sunday. Highly recommended. We had booked and paid for a double room with shared facilities but were treated to an En Suite - gratis. This was unexpected and was a nice touch. Rooms were warm and bed comfortable. We did not have the breakfast option on this stay as we were visiting family and ate with them instead. The room and the bet are comfortable. But it smell like a cigarette smoke in the bathroom. I stayed here for 3 weeks and I can tell, I really enjoyed my stay. Very clean, comfy bed, tv and kettle with tea/coffee and fresh towels. I never had a single problem or some sort of issue, everything went perfectly. Lovely place. If you plan to go to manchester I strongly raccomand this place. Wonderful. Nice and clean very friendly. stayed here with friends after being let down by our other accommodation, and we have to say that it was a great choice! We arrived and was greeted with amazing hospitality and welcome. Rooms were spotless. plus free wifi which was reliable and wasn't slow! All around amazing service, would definitely come back! Very clean guest house. The staff were very friendly and helpful. Absolute bargain for the price I paid. Thanks! I booked a single room with shared bathroom, but the manager was kind enough to upgrade it to a double room. The room itself was very clean, had curtains, clean bed linen and clean towels. The shared bathroom & toilets were clean. The proprietor was extremely cordial and helpful. I needed to check-out early, so cannot comment food. Friendly Staff & Customer Service, Really happy with service! I stayed for a week here, going into Manchester each day. The place is clean, very good for the price and the reception staff are very friendly and nice to chat with. A short walk down the road finds a canal bridge where can walk along the towpath to unwind. I'd stay here again. I stayed here last week. I now won't stay anywhere else on my visits to Manchester for my future work. It's like home from home. clean, comfortable and extremely welcoming by all the staff. Thanks! 10/10 for everything, my bag was stolen on a night out with the hotel key inside and was able to get replacement key at 4 am. Will be coming back to visit very soon. Felt very welcome. The hotel was really nice. It was clean, the reception from staff was nice and the area was good. The bed was comfortable. They recommended Queens Arms! This pub was really nice and friendly, we had a lot of fun! Thank you for this amazing stay! Well located for The Etihad. Very pleasing two nights at The Mount. The staff were welcoming and my single room was warm, perfectly clean and well furnished. The bed was very comfy and with excellent quality linen. Loved our stay here. Staff who greeted us at reception was very welcoming and friendly. room was perfect. Very clean, comfy bed, tv and kettle with tea/coffee etc. and lovely fresh towels, what more can you ask for. The reception staff were very friendly and knowledgable about local amenities. The room was nice, clean and tidy. The bed was comfortable. Overall a good nights sleep was had and would definitely book again if I need to stay near Manchester again. Thanks. Booked as part of a group of four married couples to go see coldplay at the etihad stadium. rooms were basic but the price was cheap so really couldn't complain all clean and plenty of space with all facilities we needed. upon checking in we were greeted by a very friendly man who provided us with all the information for taxis etc. that we needed and nothing was too much trouble. taxis were great even on such a busy event had no problem what so ever in getting to and returning to the guest house (just book in advance). would defiantly return. My friend and I were staying in Guest House in Manchester only for one night and we loved it. Room was clean and fresh, we got a very nice view from our room. I had a little bit of problem with mattresses (too soft for me), otherwise I was happy with everything and so was my friend. Staff was pleasant and happy to answer any questions. 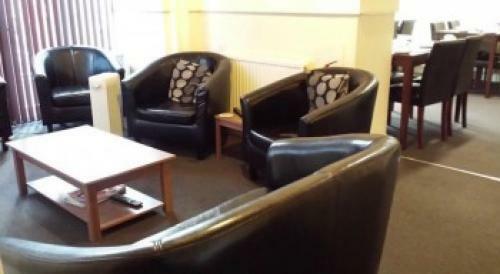 I really like it, the personal is very kind and helpful and the rooms are cleans and also the toilets but it is far away from the center of Manchester. Lovely stay and great helpful host. My first choice for future stays in area. check in was easy, staff knowledgeable of area. Made to feel right at home. Room clean & tidy. Fresh bedding, towels, tea, coffee etc. Free wifi. I'm currently travelling around the U.K & this has to be the best stay that I have had so far! Staff were very welcoming and helpful. Dining room was modern and clean. Room was very clean & comfortable. Very nice place to stay if you are working or considering a business travel, feels like 5 star mature hotel, quiet, easy and hassle free. Good value for money. A chair is needed in the room. Very nice place. Excellent breakfast. Clean and well maintained. Nothing to not like. Spacious room. Comfy bed & Clean. Thank You! Really accommodating staff when I had to re-arrange late check in. Friendly, warm, clean and comfortable. It was comfortable, clean and modern. The staff were very friendly and efficient, I would recommend it and stay again. It was friendly and very peaceful. Great area and not too far from local train station. Excellent hotel and excellent staff. We only stayed for 1 night but was warmly welcomed and given information about the local area. loved everything, especially the views at the back. Good no problems I will come again and recommend the place to others. Friendly welcome and very accommodating to our needs as we had to arrive early to get ready for a wedding. Comfortable rooms, tea, coffee, milk were provided as were 2 towels. We stayed in a Travel Lodge the week before and it was not as good and we paid less for the Mount Guest House. Would highly recommend. Excellant as a single night stay for an evening gig in Manchester. Room was very clean but lacked a welcoming feeling as there wasn't a single piece of art, decoration or even a poster on the walls. The breakfast was nicely cooked. The staff very friedly and helpful, thank you. Good value, straightforward accommodation with friendly hosts - decent bed and shower, and clean. Perfect for what I needed. Was in Manchester to see my sister run the marathon. Was met with a friendly reception and provided with plenty of information about Mount Guest House and how to get around Manchester. Room was clean and tidy and well looked after and bathroom facilities of a good standard. If I were in Manchester again I would book again as great value for money. Thank you. L'hôtel est plutôt facile d'accès même sans voiture via le train ou le bus. La chambre et la salle de bain commune sont propres et fonctionnelles et confortables. The Mount was a short distance from Guide Bridge station, we got a taxi which only cost a few pounds, but it is walking distance. The gentleman on reception was extremely welcoming and helpful, we didn't eat in but the dining room was clean, modern and well laid out. Our room was reasonable, clean and tidy, we had a sink but the bathroom was just down the corridor. The bed was comfy, although a little creeky. I had a excellent nights sleep, but be warned the walls are a little thin. All in all it was a pleasant stay, location wise it was a little too far out of town for us, but if we ever needed to stay in the area again we would consider this place. stayed one night, very comfortable. We stayed for one night at the hotel, everything was excellent and we really enjoyed it! Me and my partner both woke up late though and really needed to stay in bed and not rush (we were exhausted from our road trip and it was Easter Sunday, we felt so lazy). The man in the reception was so lovely and understanding! He smiled and said it was absolutely fine and he greeted us in the nicest way! I definitely recommend Mount guest house, everything was great and the staff was the best by far! Stayed while transporting a birthday party group. Pleasantly surprised as the place was immaculately clean, warm, friendly and hospitable, plus free wifi. A real bargain for the price I paid. This Will be my 1st choice when visiting Manchester in future. Really friendly helpful staff, comfortable beds and no curfew. It's a bit of a trek the city centre but taxis are reasonable if you're travelling in a group, also there's plenty of public transport you can reach by foot. We stopped on a saturday night and this was the cheapest and compared to reviews of city centre places around the same price i'm glad we opted for the mount guest house. Thanks. Clean, presentable and very welcoming. Comfortable beds ample sized room and great shower. Recommended to anyone in the area and at a great price too. Hotel very clean, room comfortable with great working shower, plenty of tea/coffee etc, breakfast very tasty. Had a very good 3 day stay. Thank you. My boyfriend and I stayed in this hotel after going out for food and drinks for my birthday. 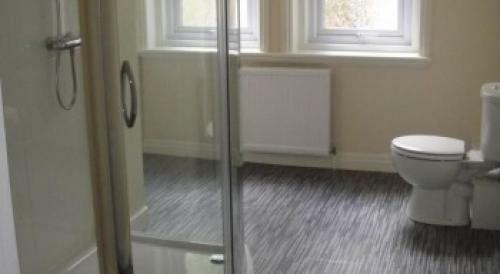 Easy access to Manchester City Centre via car or train. Clean, well heated and friendly staff. Would visit again and would recommend to friends after a cheap but good quality hotel. Convenient location, plenty of parking. Comfortable, clean room, good wifi. Very friendly and helpful service. Excellent value. Can't fault this place. Fantastic stay. Excellent breakfast, lovely room, made to feel very welcome. Free WiFi excellent quality. Thank you! will recommend to all my friends! Enjoyed our stay very much, breakfast excellent and super free wifi. Lovely guest house and very gentle staff. We enjoyed our visit. My room and adjoining ensuite shower room were clean. The location is quiet and the landlord is friendly and helpful. It is not luxurious, but for the price it is perfectly satisfactory. Just one thing you should be aware of if you like Indian food. Ten minutes' walk from Mount Guest House, in Denton Road, an Indian take-away has just opened (December 2015). The food is the best Indian food I have ever eaten - and I am a bit of a connoisseur. Directions: Turn right out of the MGH forecourt onto Shepley Road (so going west). Up to the traffic lights, right into Denton Road and it is 200/300 yards along on the right but set back from the road and not easily visible because it is slightly hidden by the angle of an intervening building. But the hunt is worth the quarry! The people were very nice and the rooms were very cosy! Moreover, when they called a taxi it arrived in 5mins! Definately a place to visit again!! I found Mount Guest House Most accommodating.I had a lovely ensuite room which was lovely and warm on my arrival..Very comfy bed also,so much so that I slept in but did make it on time for my business meeting..I missed breakfast as I was running late but was still asked by the owner if I would like some breakfast even though breakfast times had finished...Which I felt was very Hospitable..I would highly recommend Mount Guest House and when I return to Manchester in the New Year will be certainly booking my stay with them..Thankyou for making my stay a comfortable and pleasurable one..
Great room, bed was very comfortable & had best nights sleep in a long time. Good beverage facilities. Bathroom was adequate (full was a bit squeaky though). Sid was very friendly and made us feel very welcome. Breakfast was good and staff were lovely. Excellent value for money. Very friendly staff.Great breakfast. Less than a 5 minute drive to the train station which has free parking and only £3.40 return to Manchester.En suite had a good power shower. Everything was very good and we couldn't find fault with anything . Nothing was too much trouble for the staff and I would recommend this guest house unreservedly to anyone wishing to stay in the Manchester area. The staff were very friendly and super helpful. Location was perfect. I would recommend it and would stay again. Nice, relaxed atmosphere. Very helpful staff. Hi, we were met by the owner Sid who made us feel important straight away. The rooms were fine and comfortable . Unfortunately we had to leave before breakfast due to commitments but a great stay. Clean, hospitable and very good breakfast. Felt very welcomed on arrival. Rooms clean and comfy for the money! Lovely little B&B for our night out in Manchester. They were very willing to help me in everything I needed. Friendly, informative greeting when I checked in. Breakfast and service good. Clean, quiet, comfortable & friendly. Comfortable, warm, clean and an excellent breakfast. Staff very helpful and pleasant. 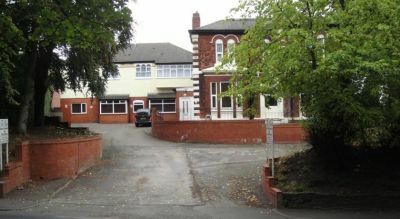 A well situated property in a quiet position within easy reach of Manchester City Centre. The room and everything was as expected. Bed very comfortable and staff very friendly! We enjoyed our stay. Thanks! Room was very clean and the staff was really helpful. Would defiantly stay here again and will be recommending to other people. Decent Guest House, clean with very friendly staff perfect for what I wanted! Good Value! Great Breakie! Helpful Staff! lovely quiet place, may not be to everyone's taste but I like it. Clean, warm. good breakfast, bed comfy, excellent wifi, Great staff. no evening meals done but hey it's a guest house not a hotel. 2nd visit and soon another. I had a relaxing and hassle free stay at this lovely & warm B&B just a few miles outside of the city with a few local pubs close by. Room was spacious and clean. Had a lovely breakfast in the morning. Highly recommended! I was given an excellent reception by the very helpful owner who had gone to the trouble of printing me a map for the venue I was attending the following day. He then explained and gave me directions to local food places. The room was nice with a very comfy bed, good TV reception and free wifi which I wasn't expecting so a great bonus. The breakfast next morning was spot on again a great service extra points for the staff on duty a lovely smile and very friendly. Will be returning. Very good value for money! Staff are friendly and ensure you are settled down. Breakfast was worth it with table service and air fried food. A must stay if you are looking for a good nights sleep on a budget! Bargain Overnight Stay! The going rate in the City Centre even for a Travelodge! was over £180 and I refused to counteract the savings I'd made on my bargain flight by booking an overpriced hotel. This place was less than a third of the price & only 5 miles from the city. Bargain!!! Comfortable, clean & warm room. Great Staff! Breakfast was an absolute bargain! Orange Juice, cereal, tea/coffee, rack of toast & a cooked breakfast all table served for £5. Substantial and super value for money. Booked an en-suite, It was very clean, Staff very obliging and pleasant, The Breakfast was excellent, all in all well worth the money we paid, would definitely stay here again. Would recommend to anyone! Excellent value for money and fab breakfast! staff really friendly. Friendly Staff - Efficient Check-in - Great Breakfast - and Comfortable Room. The Location is a bit far out of the City (5 miles) - but the Train Station (Guide Bridge) and Bus Stop route 219 - is only a 10 to 15 minute walk! Comfortable, clean, reasonably priced guest house with friendly and helpful staff. My stay was to attend match at Old Trafford, Cities Art galleries and The Coronation Street Tour, all could be done comfortably by trains and metrolink from here with 15min walk to Guide Bridge Station. Good breakfasts which were served by polite staff. Would have given 5 stars had it not been for noisy youngsters in nearby room following the football who were continually quite loud into the early hours. Some staff attention would have been good on this night, ear plugs purchased in case of this problem recuring which thankfully were not needed. Hotel was excellent value for money. Our room was spacious and beds really comfy. All the staff were friendly and helpful and the breakfast was fab. One of the comfiest beds I've slept in. Nice and warm. Friendly greeting. Extremely clean. I will definitely be returning on my next trip to Manchester. Was upgraded to a double. Friendly, informative check in. Room clean. Good breakfast and service. The Tameside College is situated in the Beaufort Road, Ashton-under-Lyne, Lancashire. Tameside College is one of the top colleges in the country and a National Beacon College of Excellence, which provides students and local employers with access to some of the very best teaching and facilities in the UK. The College offers first class education and training to improve employability and generate economic prosperity. The courses offered include Social Science, Law, Crime and Social Justice, Humanities and Teachings, Nursing and Midwifery, Business and ICT, Accounting, Arts and Design, Fashion, and Photography and Multimedia. The club was founded on the 12th July 1913 and, in 1988, celebrated it's 75th Jubilee. The provisional plan of the course was one of nine holes with a playing length of 2520 yards. Today, however it boasts a challenging but enjoyable 18 holes over a total of 5338 yards. On the 25th July the Club purchased 13.8 acres of land known as Plot 2 to the side of Matley tee at auction. Plot 1 was purchased by another bidder who subsequently contacted the Club to offer us all but 9.8 acres of the land he bought. Following successful negotiations we have now purchased a further 42.2 acres of land. We are delighted to extend a warm welcome to you to one of the most picturesque Parkland golf courses in the North of England, within five miles of Manchester and both the M62 and M60 motorway links. The river Medlock features on six of the holes as it meanders through the course, making it both challenging and interesting. Although the course can be described as undulating, buggies are available for hire; and the views have to be seen to be believed. The 12th tee gives a spectacular view of virtually the whole of the course. To provide facilities for good golf always has been, and hopefully always will be, our primary objective.